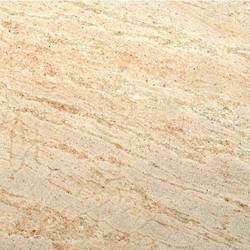 Our company tries to meet the varied requirement of our clients by processing high quality range of ivory gold granite.These are used for wall tiles, table tops and counter tops. Available in different shapes & sizes our range is offered at industry leading prices. Sirini Impex was stablished in 2011. We are a exporter of fine quality Polished Granites such as Black Galaxy Granite, Cibaca Pink Granite, Hassan Green Granite, Kuppam Green Granite, Marry Gold Granite, Raw Silk Granite, Sadarhalli Grey Granite, Steel Grey Granite, Tan Brown Granite, Black Pearl Granite and Industrial Pipes such as GI Pipe, MS Pipe, Seamless Pipe and Water Control Valves. We believe in meeting customer's requirement and satisfaction with the help of superior skills. They can elevate the charm of interior decoration in homes, offices, hotels, etc. with their mere presence, and thus never go out of style. Our products are reasonably priced and an effort is made to deliver the products to the clients well within the stipulated time frame.